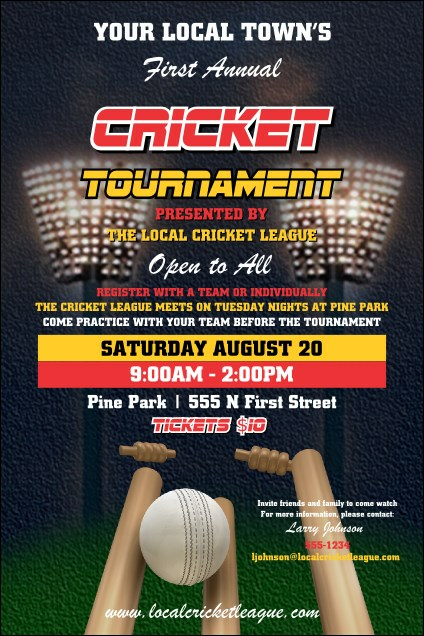 Promoting your event has never been simpler with the Cricket 2 Poster! This generously sized template is ready for action with a lit field and cricket bats and a ball on a navy and grassy green backdrop. Change every item on 20 lines to fit your function. The right poster from TicketPrinting.com can help you raise awareness for all your events!